For the next few weeks we are following the FODMAP eating plan. For years the hubby has suffered from digestive discomfort and one day while he was looking on the internet he discovered the FODMAP plan. FODMAP stands for Fermantable Oligo-saccharides Di-saccharides Mono-saccharides and Polyols, otherwise known as FODMAP's. FODMAP's are carbohydrates that can be hard to digest and cause digestive discomfort and eliminating foods which contain these carbohydrates can ease symptoms such as bloating, abdominal pain, gases and bowel problems. They are found in various fruits, vegetables, dairy and many other foods. After doing my own research and visiting various different websites I now have a list of FODMAP foods. The list is divided into two sections, high 'red' FODMAP foods, which I need to avoid in the hubby's meals and low 'green' FODMAP foods which he can eat. This has meant that my meal plans need to be planned more carefully. Now when I write my weekly meal plan I am carefully looking at the ingredients that are needed for each individual meal and adapting them accordingly. When I was planning this weeks meals I found a recipe in the Slimming World magazine that I knew everyone would love, but it was served with a homemade coleslaw which contained many high FODMAP ingredients. 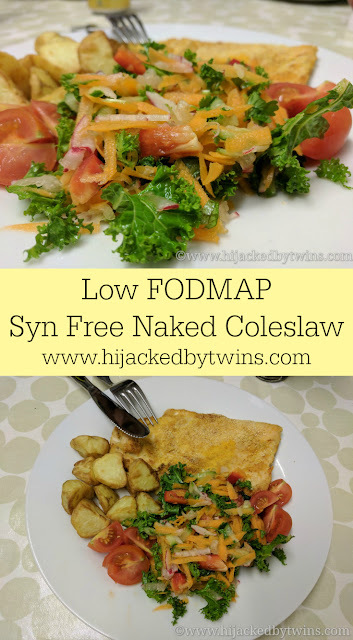 This got me thinking how I could make a coleslaw type salad that is both syn free for me and, of course, low FODMAP for the hubby. What I created was a huge success and is now a firm favourite. I served the naked coleslaw with chicken breasts covered with polenta and paprika with potatoes and chopped cherry tomatoes. 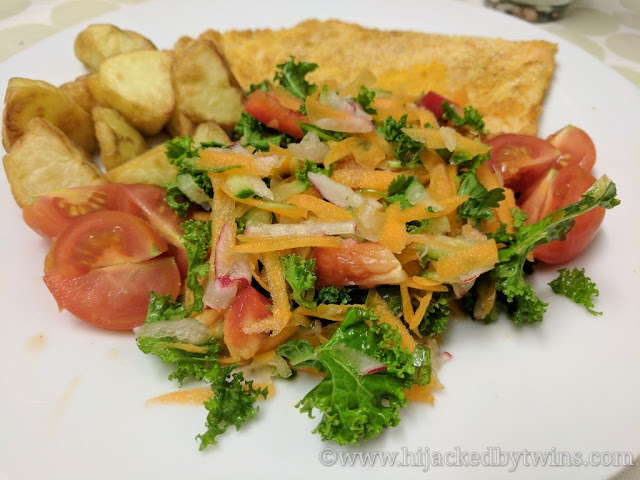 This recipe made enough salad for our meal and there was enough leftover for the hubby to take to work for his lunch the following day. 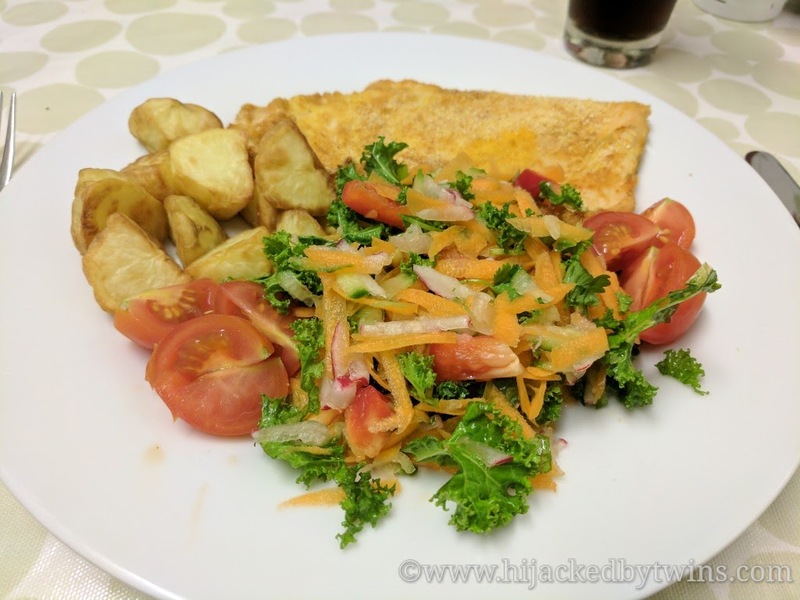 Over the coming weeks I will definitely be sharing more FODMAP friendly meals and I will keep you updated on how the hubby gets on with the new diet.